Elaine Hancock (Olney, United States) on 9 October 2017 in Abstract & Conceptual. Superbe abstrait et vue quelle iamge quelle couleur et bandes génial. such beautiful composition & textures! @grouser: You always make me smile! I like the colours and how the radiate from the bottom corner. And the texture of the glass adds to it. Very nice abstract. @beach: I was working on a glass project and these were scraps of glass from the project. I liked how they were just randomly sitting in the box so I snapped a picture. A great mosaic of beautiful colors!! I love the reflection of light which reveals the textures in the glass. I love the vibrant colors as well as how the light plays on these panels. Here I would emphasize the different crystal textures. Nice one. A spectacxular color presnetation. Very well done. Très jolies nuances! Le verre est un matériau extraordinaire! @Colette: Je suis entièrement d'accord! C'est ma autre obsession que la photographie! 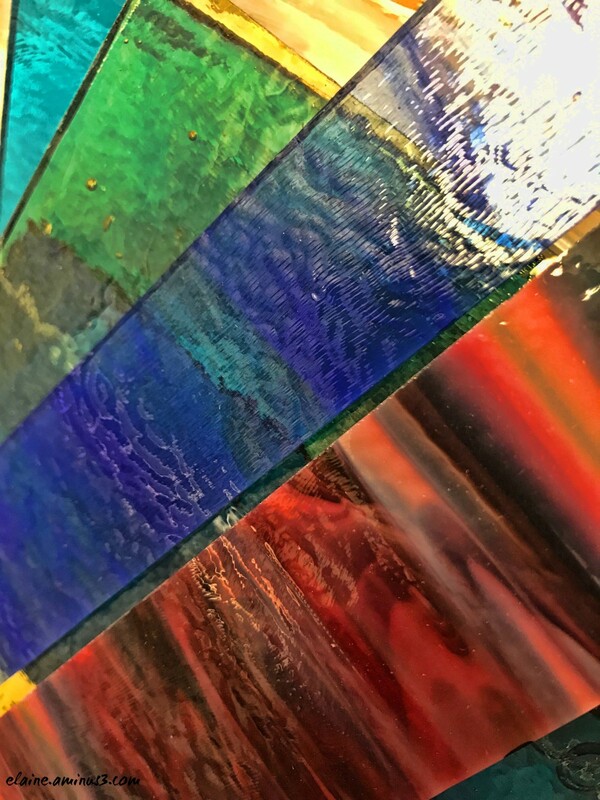 A beautiful image of the colorful glass.